When starting a web site or blog, one of the easiest ways to do it is through the use of WordPress. 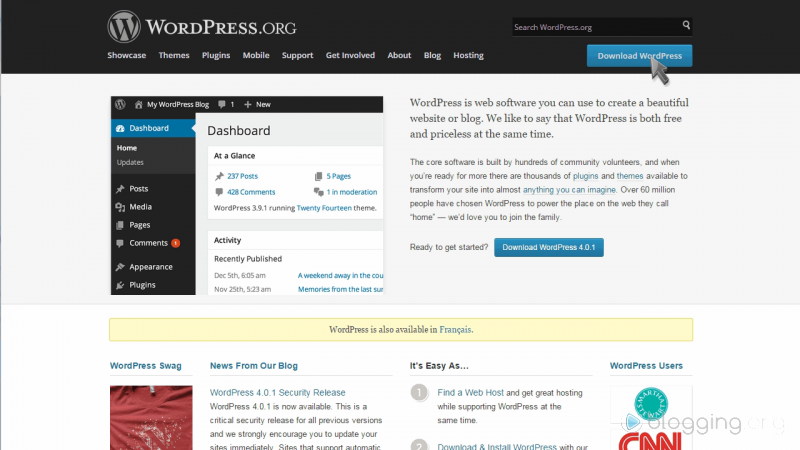 WordPress is the free software solution that powers the majority of sites on the internet today. Through WordPress you can have complete control over the content on your site, while also having the ability to fully customize the look, feel and site experience for your audience as well. Most web hosting providers now offer WordPress as a simple one-click installation, however, some people like to download WordPress themselves and complete the process on their own — which is what the guide below will walk you through the process on. 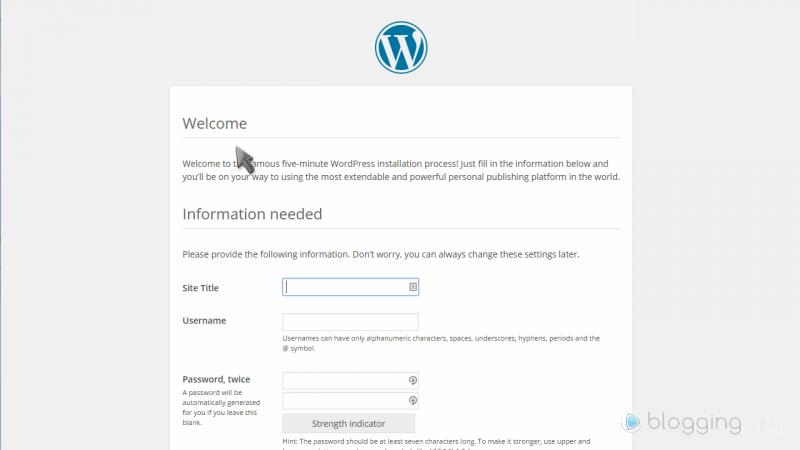 Follow this WordPress installation guide step-by-step to download and install the software on your server or shared hosting account. The first thing you will need to do is go to http://wordpress.org and click on the blue button to download their free software. 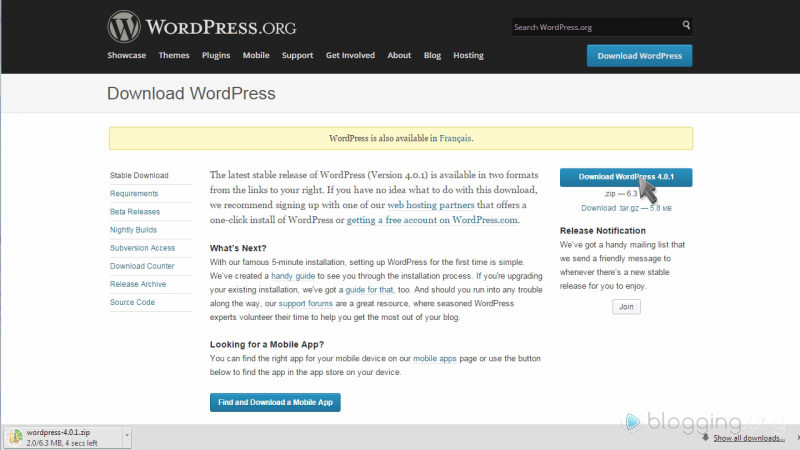 The next page in the process will show you the latest version of WordPress and other details on the software. You can click on the blue download button to save the software to your computer. 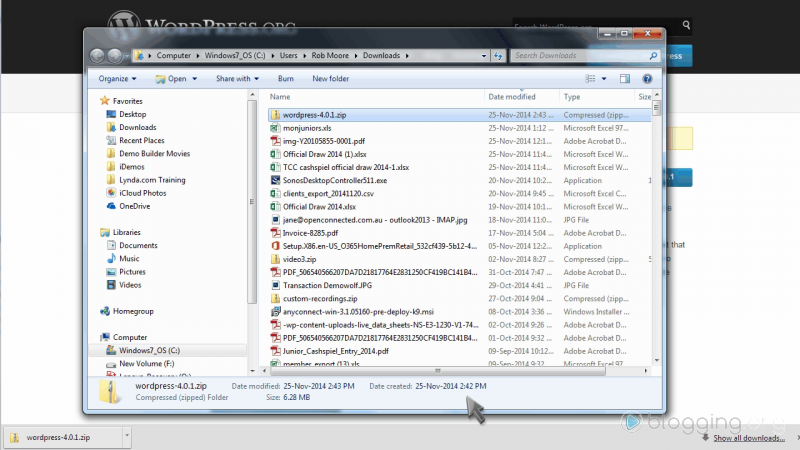 After downloading the file, you can then extract the ZIP folder and open it on your computer. The next part of the process is to upload all of the contents from the WordPress folder to your hosting account. We are going to use FileZilla uploading software to complete this process. 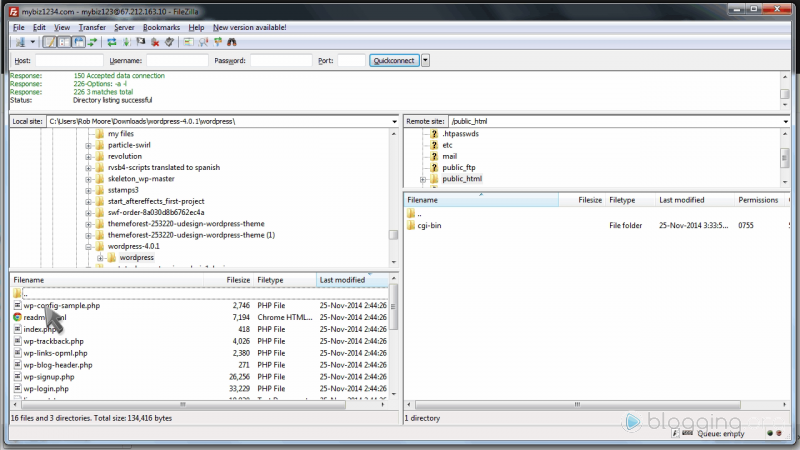 The bottom left side window of FileZilla are the contents that are on your computer and the right side is for the contents on your web server. If needed, you can refer to our FileZilla hosting tutorial to learn more about the software and how to use it. Once all of the WordPress files are fully uploaded to your server, you can then open a new browser window and navigate to your web site. 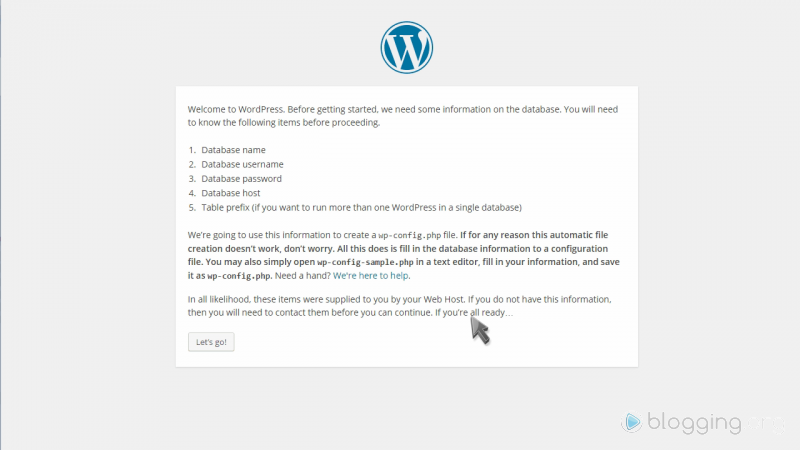 You will then be prompted to setup your new copy of WordPress onto your server. The first step is to choose your language. 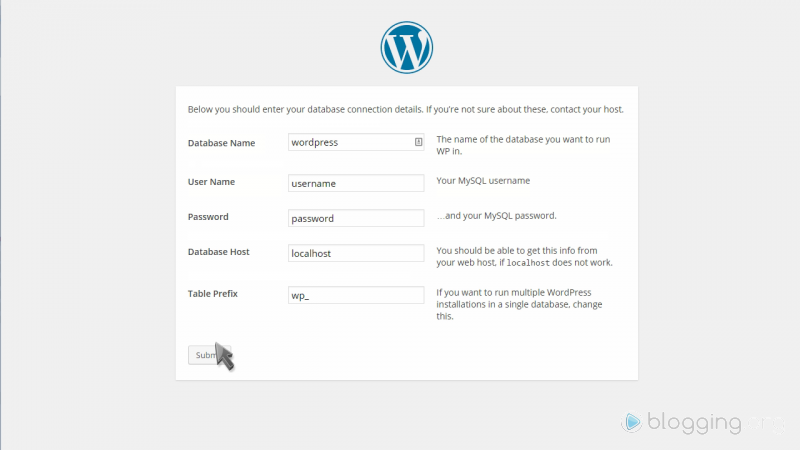 Before moving forward with your WordPress installation, you will need to have a MySQL database setup on your server. This will allow for your server to connect with WordPress software and create all of the necessary files and data for your site. The data you will need to know or setup is your database name, username and password. If you already have this information and a database in place, click on the “Let’s go!” button. Enter the database name and additional information requested to connect with your hosting server. 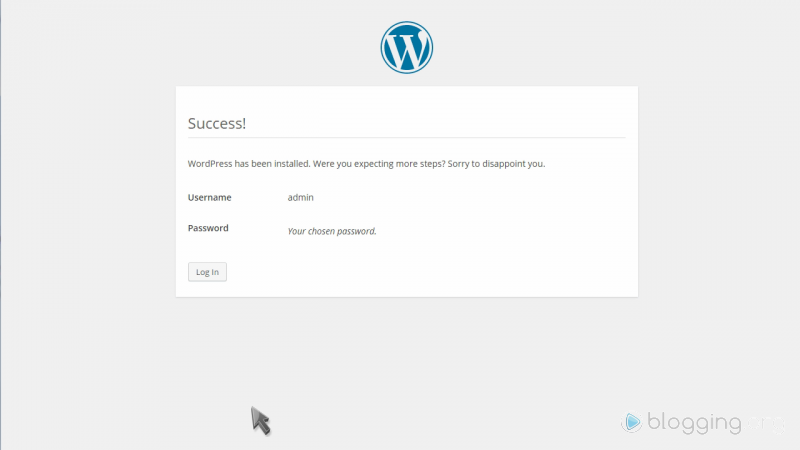 The next step in the process is the “famous five-minute WordPress installation”, which install WordPress on your server without needing to touch any additional files. To set this up, all you need to do is provide a Site Title, Username and Password for your site. 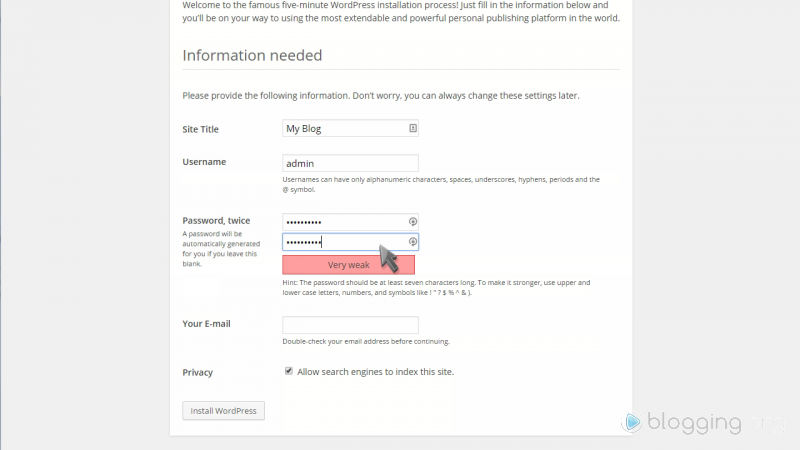 Once all of your information looks good and you have a strong password in place, you can click on the “Install WordPress” plugin to complete the process. You will then see the confirmation message like the one below. 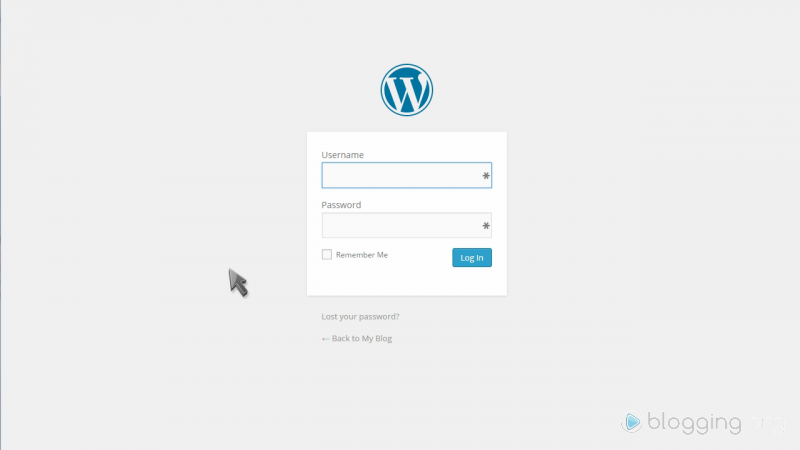 Click on the “Log in” button at the bottom of the confirmation page and then login to your WordPress dashboard with the same details you just filled in earlier. Congratulations! 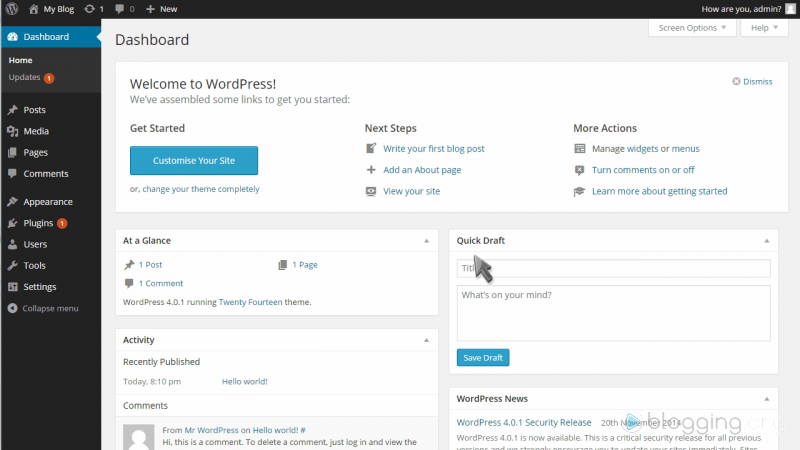 WordPress is now installed on your server and you are ready to start creating content and managing your site.